Our wedding day went down a little differently than most—mainly because we had absolutely no idea where it was going to take place. (Yes, you read that right.) Surrounded by my father, two brothers and a pair of best friends, I descended the elevator at The Saratoga Hilton adorned in a custom-fit, velvet Robert Graham blazer that I’d splurged on for the big day. I was feeling good. Scratch that, great. This was it. I was getting hitched. My wedding party and I clinked our glasses and said “Cheers!” and the chauffeur closed the door to our limousine. We were officially on our way to my wedding, destination unknown. Due to the unpredictability of my career as a professional baseball player, my bride-to-be, Austin, and I had been through several iterations of a wedding plan, none of which ever came to fruition. From a mountainscape country wedding to Vegas nuptials, it seemed that every idea we put into action was met with some form of fortuitous roadblock. Defeated and deflated, we threw in the proverbial towel. That is, until the unofficial patron saint of happy weddings—a.k.a. my mother-in-law—showed up. It was almost as if, in an instant, Austin’s mom miraculously transformed from mother-in-law into fairy godmother. “Fear not,” Deb said. “Allow me to accept the burden of your trials and deliver you a splendid wedding that will remain in family lore for decades to come.” She was the brains behind it all. The limo pulled up, and there we were at the picturesque Canfield Casino, made even more so by the light December snow falling. Austin walked down the aisle to the soft tones of electric guitar played by her high school friend. It was more than either of us had ever imagined. It was perfect. So perfect, in fact, that we now live in Saratoga. 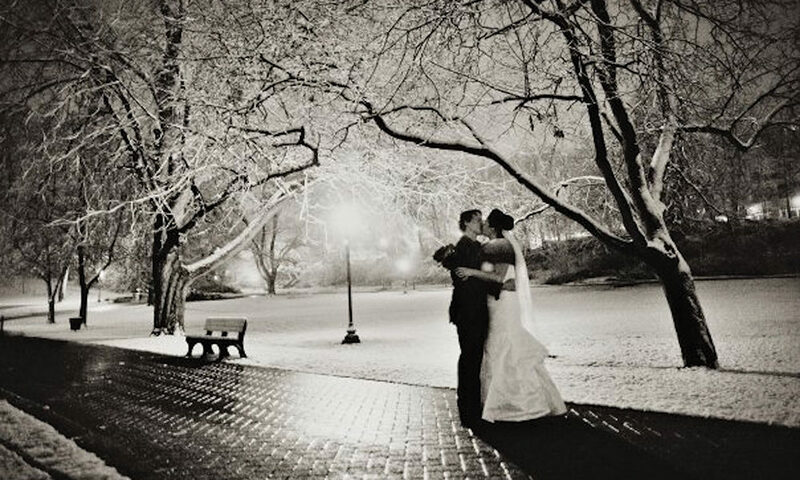 Besides being a horse racing mecca and major center for the arts, Saratoga Springs annually plays host to countless weddings planned both by residents and visitors, such as Austin and me, at the time. 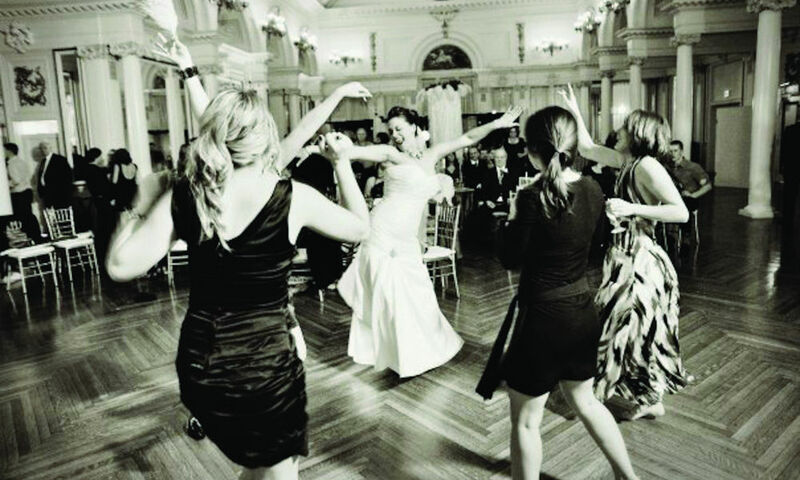 And weddings spell big business for the city and its many local venues, restaurants and stores; so says costofwedding.com, the average couple spends some $40,000 on their Saratoga nuptials, with that number skyrocketing as high as $150,000 or more, depending on the number of guests in attendance. San Diego residents Michael and Sarah Cooper count themselves among the lucky ones who’ve had their dream “destination wedding” in Saratoga. Native Saratogians, the couple made the trek back East for obvious reasons. “We both loved Saratoga and missed the unique personality the town holds,” says Sarah. “From lunch at Druthers to coffee at Uncommon Grounds and shopping at Silverwood, our friends and family fell in love with Saratoga as much as we did.” Guests gathered at The Lodge at Saratoga Casino Hotel from all over the world—places as far-off as Ireland and Sweden. Whether couples hail from down the road or somewhere more exotic, they’re drawn to Saratoga because of its charm and vivacity. I’m so glad we got married here—and calling it home now is icing on the (wedding) cake.